I'm being lazy and don't really want to start on the photos from my trip. So I figured I'd try to get the ball rolling with a photo from day 1. It was a pretty uneventful day at my cousin's place in Valencia. 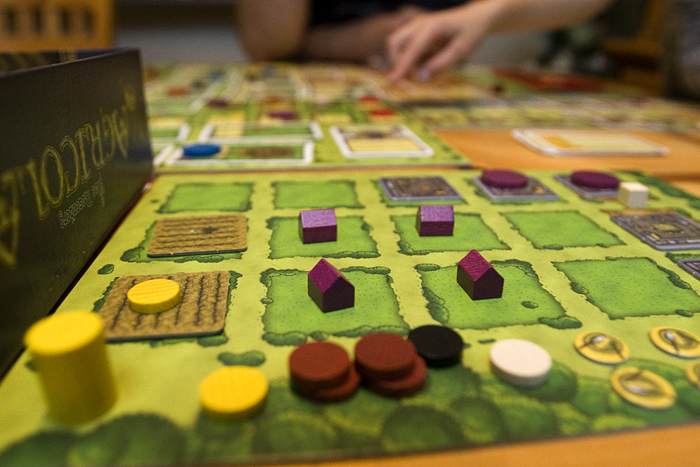 We played a lot of Kinect and later fit in a game of Agricola. This game is noteworthy because it's the first time I've ever lost. I'm losing my touch.